No other product in the world can make your hair look this thick and full. 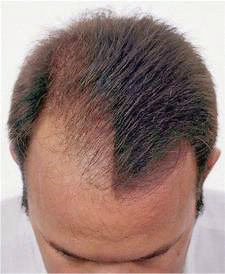 DermMatch is guaranteed to outperform hair fibers, sprays and all other hair loss concealers. DermMatch looks better, stays on better, applies neater and costs less to use. No other product in the world can make your hair look this thick and full. Hair fibers, sprays and other hair loss concealers can't compare. DermMatch looks better, stays on better, applies neater and costs less to use. We guarantee it.